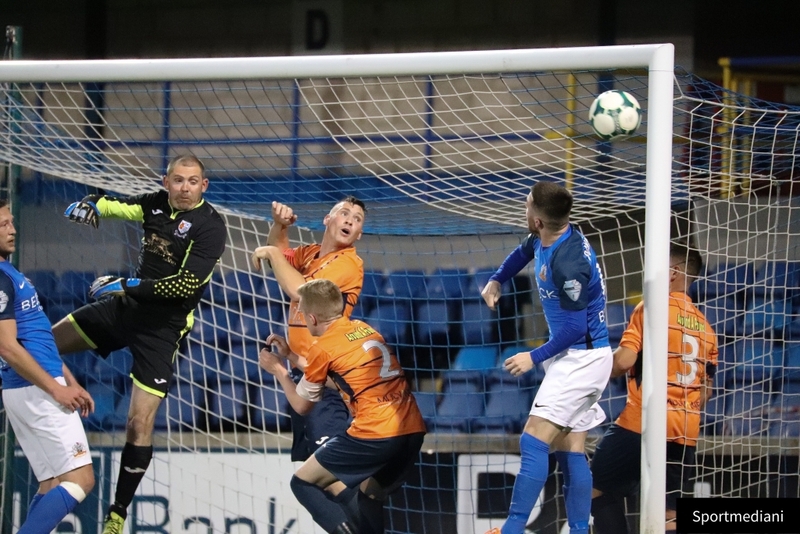 Two second half goals eventually saw off a determined Windmill Stars side in Glenavon’s first match in defence of the Mid Ulster Cup. 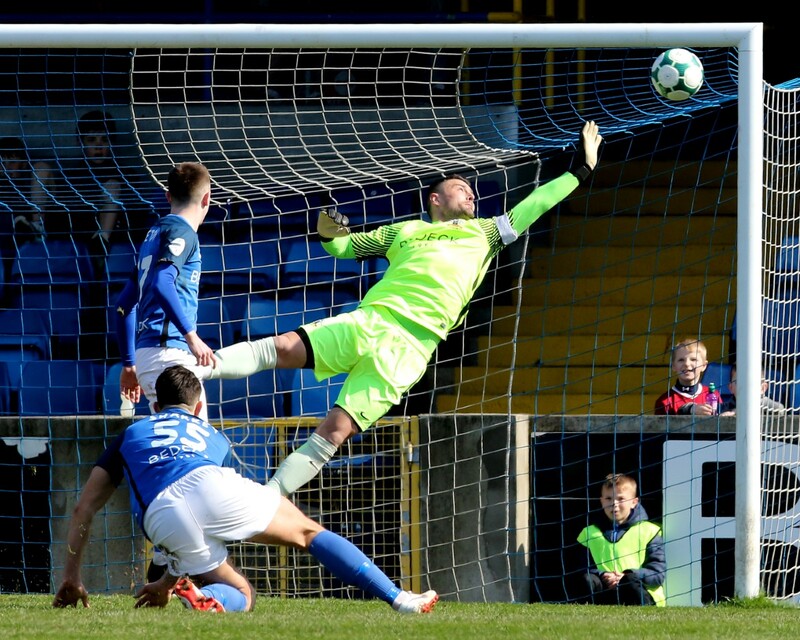 Kris Lindsay probably had the best chance for the hosts in the first half when he headed over from inside the six yard box as Conor McCloskey delivered a corner into the danger area. 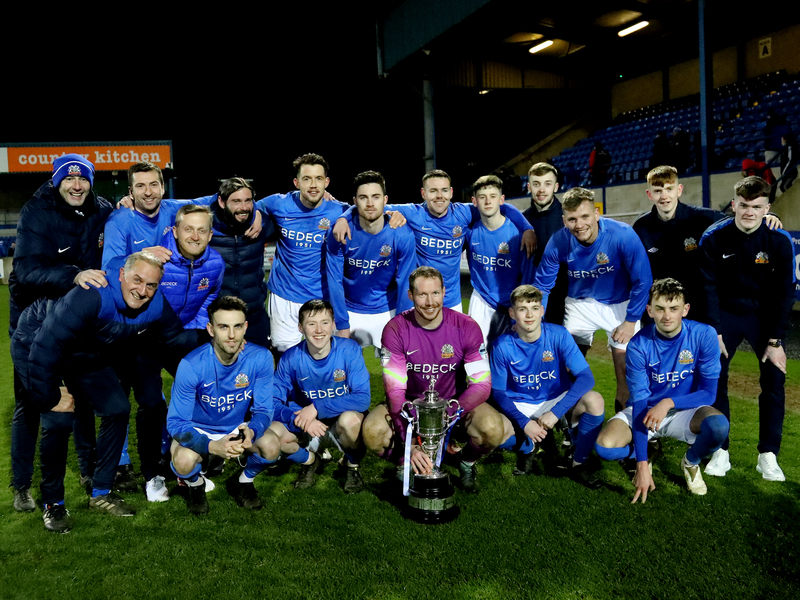 It was from another McCloskey corner in the 63rd minute when the deadlock was finally broken as Jordan Jenkins sent a looping back-header over the defenders on the line. 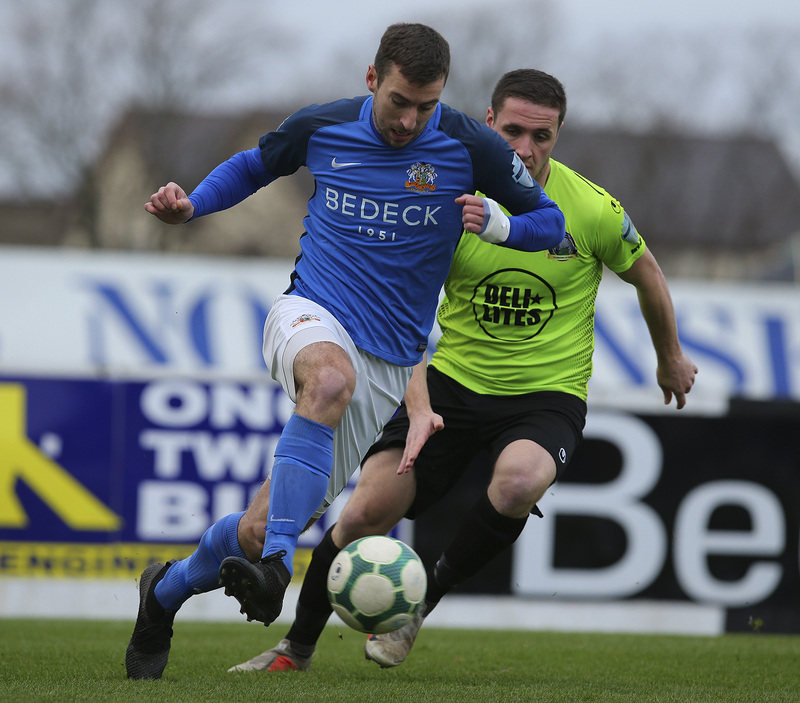 It was 2-0 inside a minute when Ben Doherty drove a low left-foot shot in off the inside of the post from the edge of the penalty area after the keeper only half cleared a header from Niall Grace. 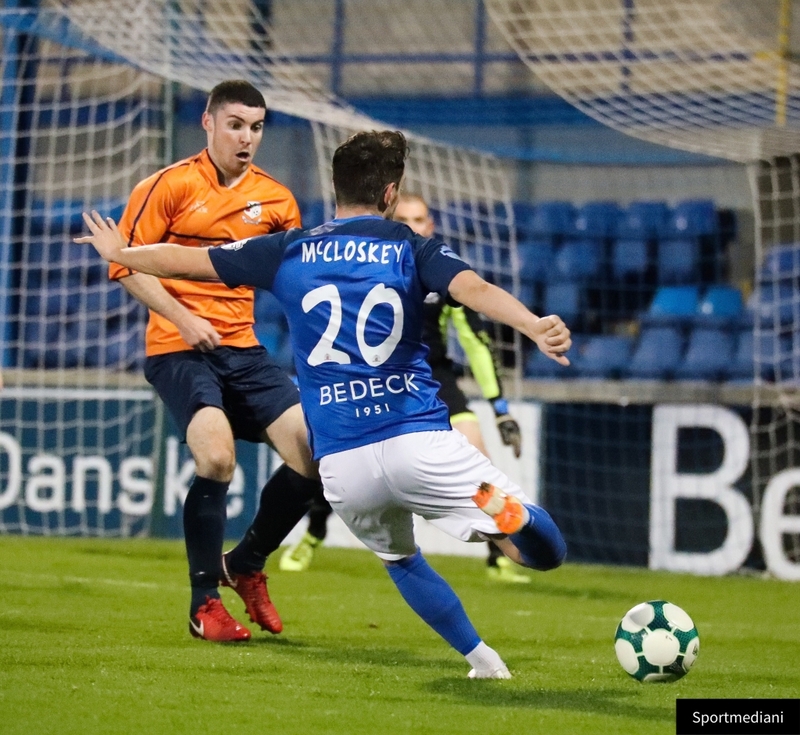 McCloskey spurned a great chance to get on the score sheet himself when he blazed over the bar with the goal at his mercy from a low cross by Doherty. 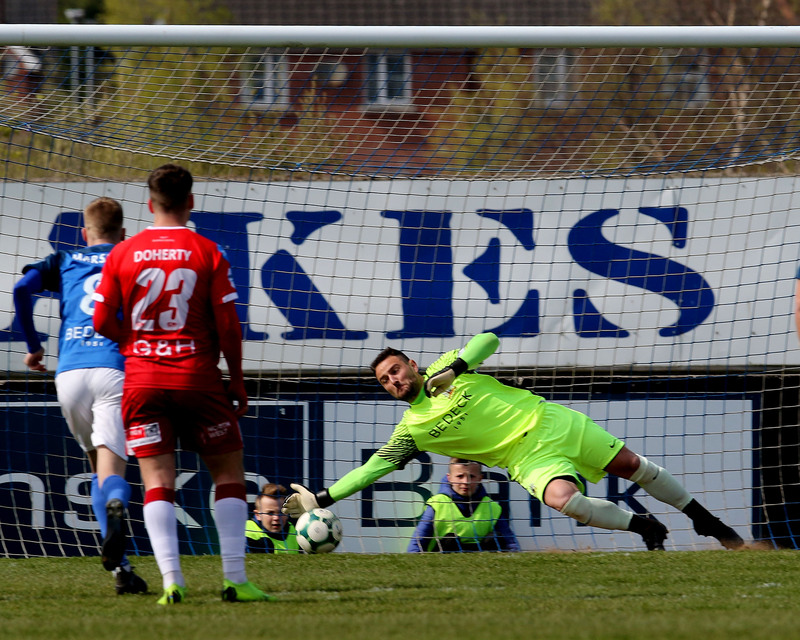 In stoppage time Gary Muir raided forward with the ball at his feet and unleashed a low swerving shot that Peter Murphy did well to push clear. 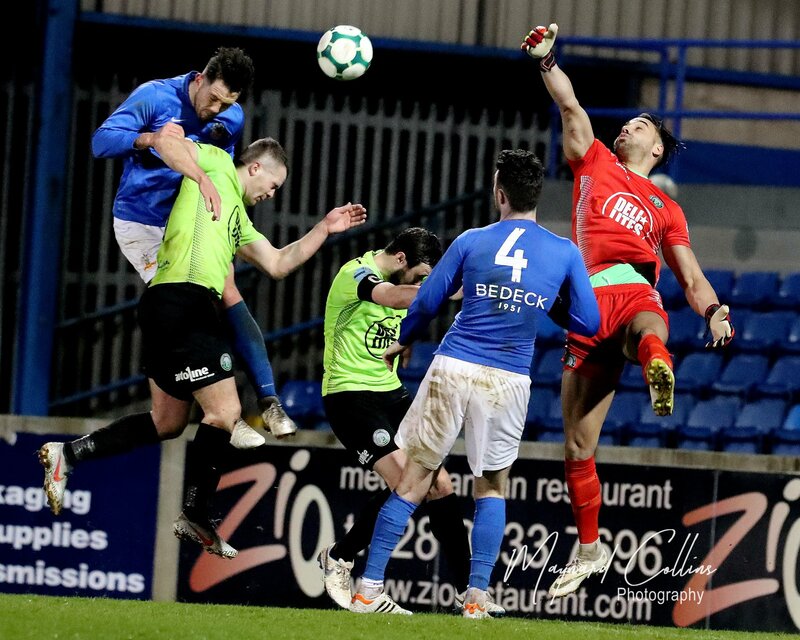 James Taylor, who hadn’t had a save to make all night, was finally called into action in stoppage time when he had to palm a shot from Christopher McMahon over the bar with the corner being cleared and the referee blowing the final whistle. Thanks to all our sponsors for tonight’s game. 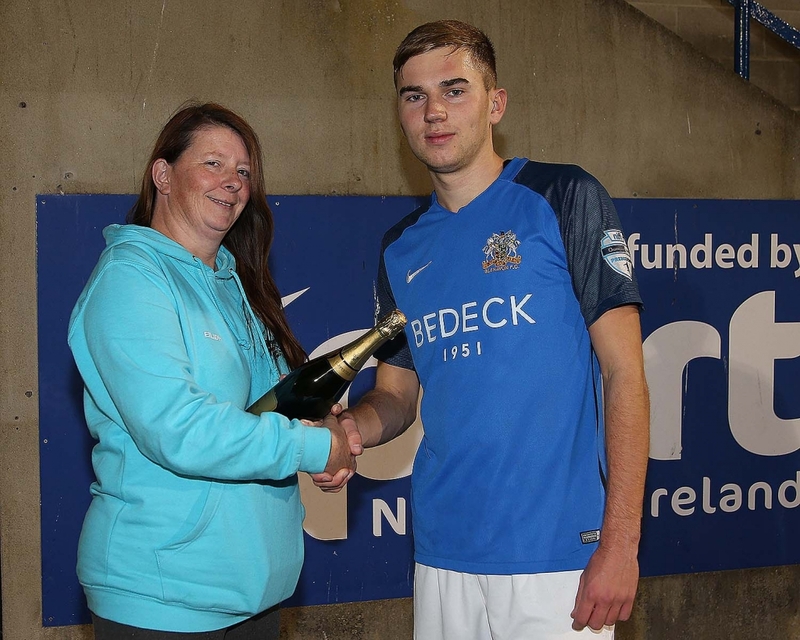 The Man of the Match award went to Daniel Larmour who was making his full debut tonight and had an impressive game at centre half.